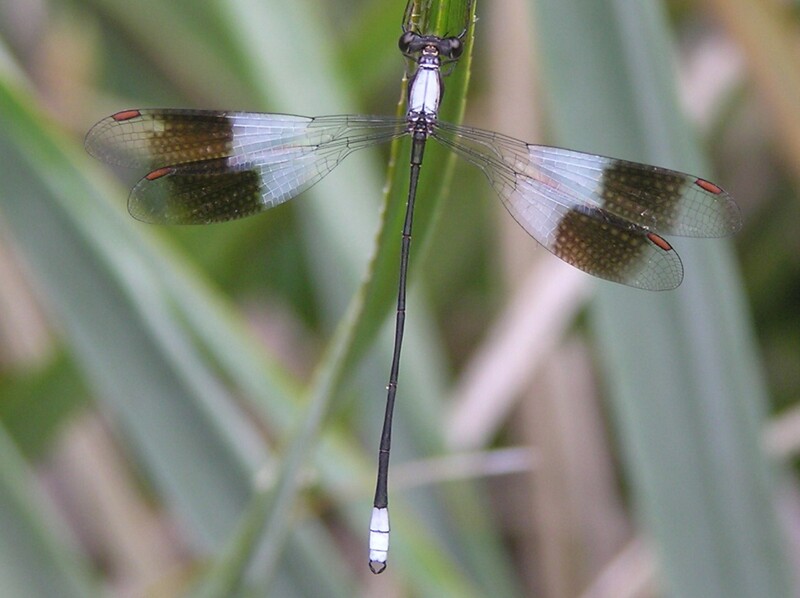 To be honest, I could not tell the difference between a Dragonfly and a Damselfly, before this course… and this is from someone that can separate Lesser Swamp and Little Rush Warblers quite well! Felicity Grundlingh started with this vital point. From then on we were ‘flying’. 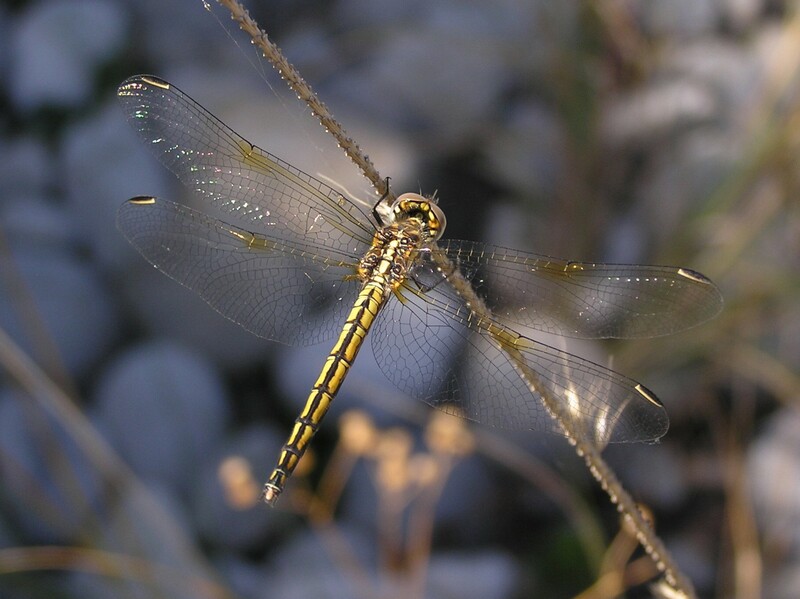 Did you know Dragonflies have compound eyes with 30 000 lenses and 360 degree vision? 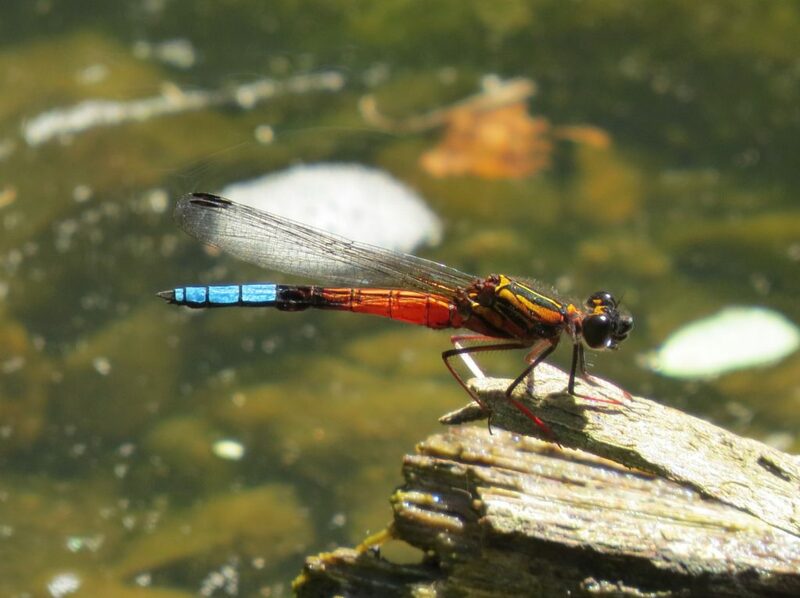 The life-cycle and reproduction is quite fascinating with some nymphs staying under water for several years before emerging into adults and only living several months… Many people think they only live for a day. 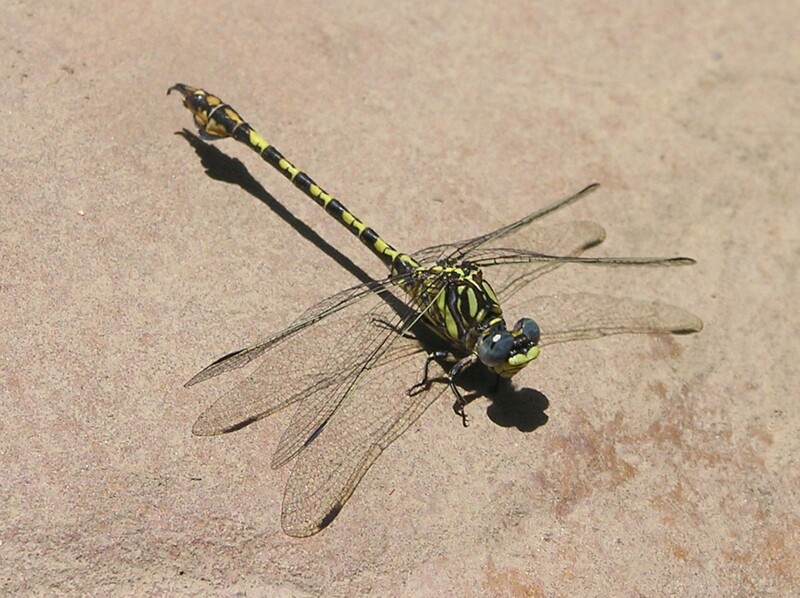 Other Dragonfly myths were debunked “Use bad words and Dragonflies will come to sew up your lips”. Parents often subdued fearful children by this in days gone by. Felicity’s beautifully illustrated presentation then led us through different habitats; ‘Where and when to look for Dragonflies’. Some species one will never find over water… look into nearby vegetation, and some species can only be found in two locations. 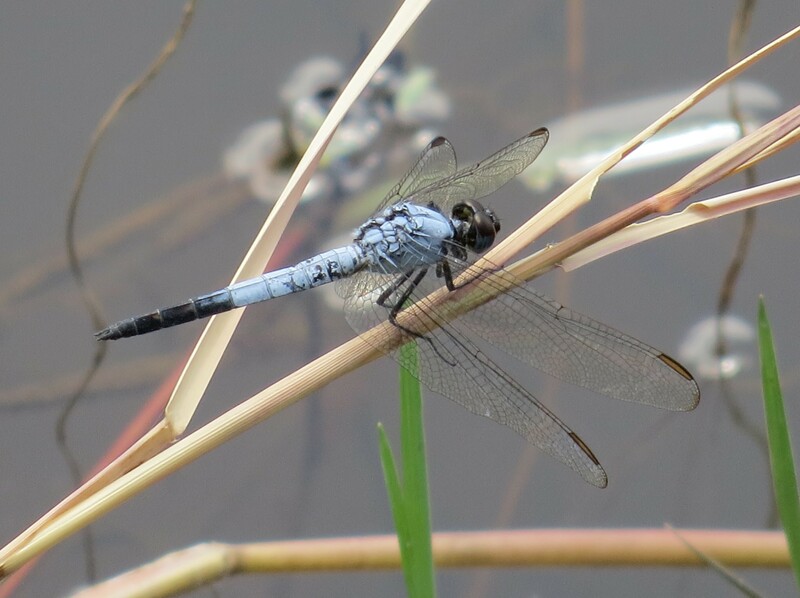 Then we got down to the hard stuff… identifying Dragonflies and Damselflies. Fortunately this only covered the Western Cape, so the task was somewhat easier. 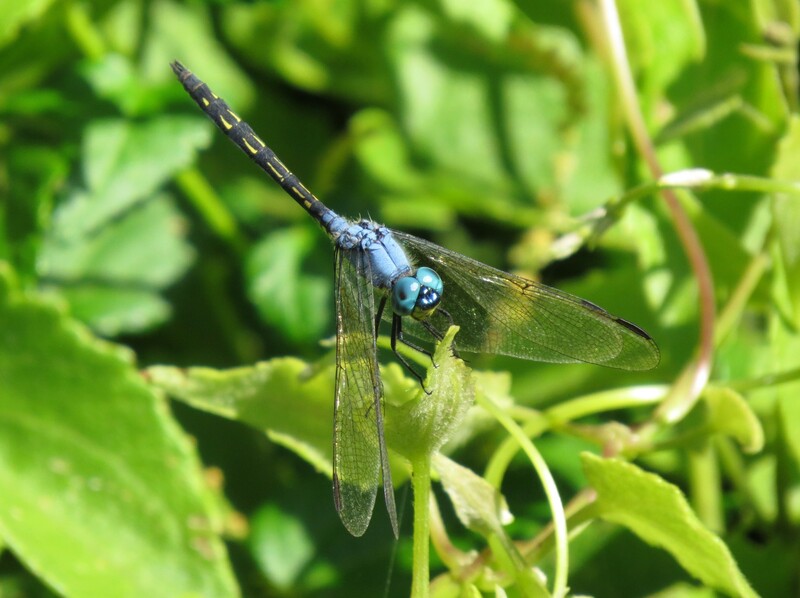 32 Dragonfly and 25 Damselfly species. Emperors are easy… they are the largest. Six different Skimmers took some sorting out, with the ‘Elusive Skimmer’ as its name implies being quite rare. Post Ocular spots became an important part of the anatomy to understand and separate some species. Threadtails, Hooktails, Sprites, Bluets, Cruisers, Cascaders, Dropwings and Gliders… the very names are wonderful and evocative. 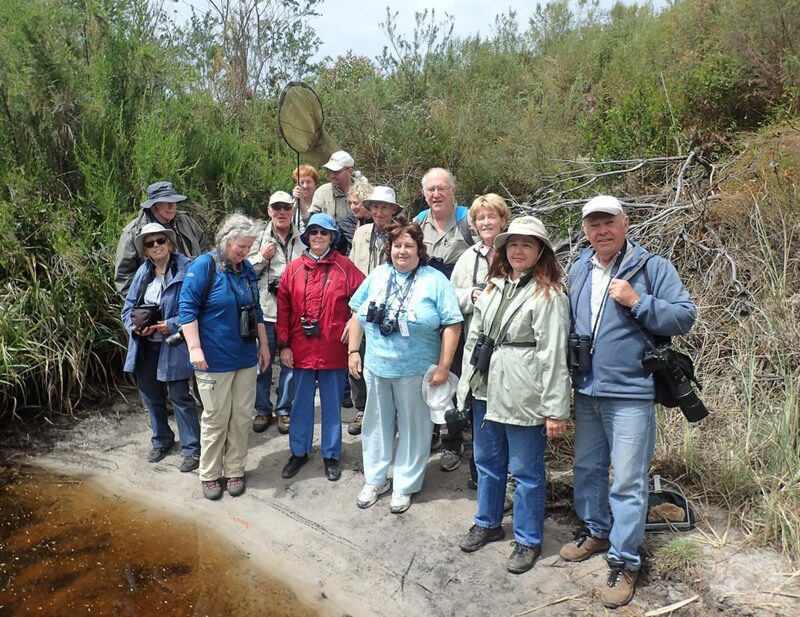 The Clubs philosophy of embracing all that is in the natural world, not just the birds, was firmly reiterated once again with a thoroughly enjoyable course, delivered by a thoroughly enjoyable presenter, passionate about Odonata. The day after the course several participants attended a field trip to the Kogelberg. Hacking Team at Zandvlei Nature Reserve – November 2016. Hacking Team at Zandvlei Nature Reserve – December 2016.